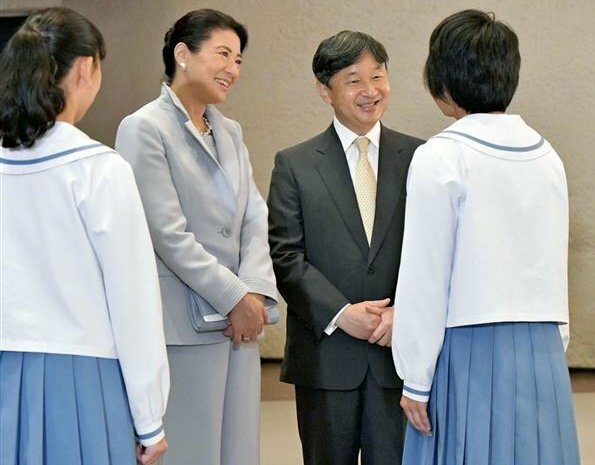 On October 7, 2018, Crown Prince Naruhito and Crown Princess Masako attended a chorus performance in Tsukumi City, Oita Prefecture and a 'Pinocchio Concert' held at the Argerich Arts Foundation (AAF) in Beppu City. Pinocchio Concerts offer quality classical music to children and adults, usually free or with admission fees as low as possible. The Argerich Arts Foundation was established in March 2007. Under the thought of Argentine pianist Martha Argerich, the Foundation promotes Pinocchio Concerts, hospital concerts, salon culture and other social contribution activities. She sure does... and happy too! Agree with you both. So good to see her smiling. Agree me too,she is so sweet the future Empress! mooi broekpak , klassiek maar past mooi. A bit of stylishness from Masako (lovely woman). The upturned collar of the suit and what looks like a Carolina Herrera purse. A jewel toned blouse would complete her look. 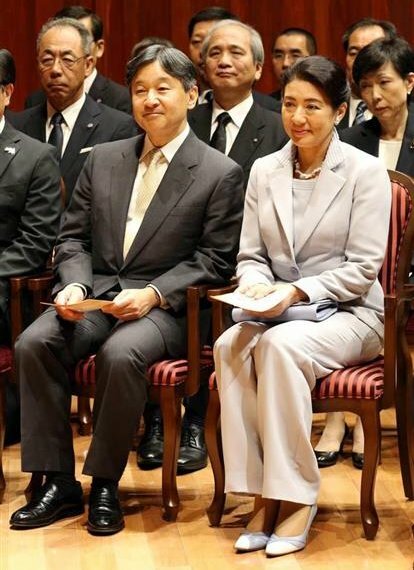 Quite a modern outfit for the traditional court of Japan. It suits her! Wonderful! 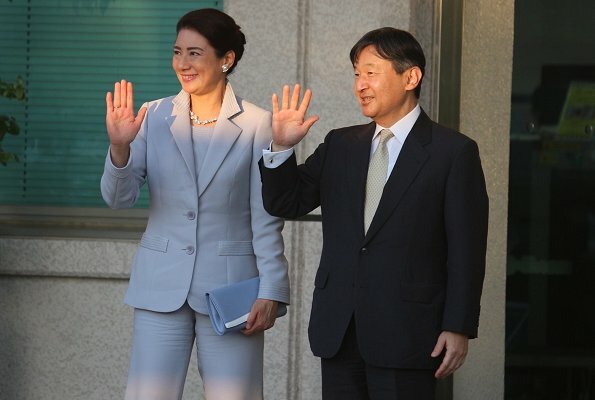 Masako always grace and beauty. 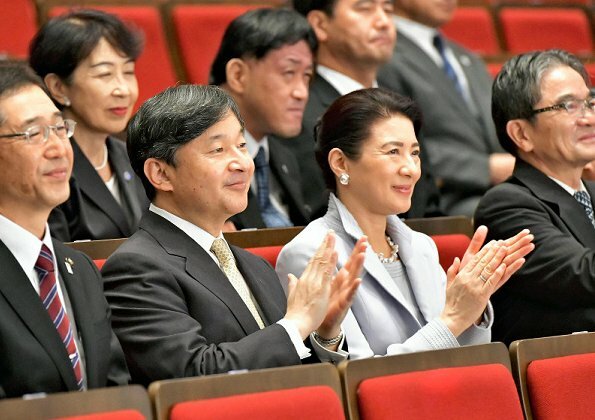 I love the royal court of Japan, and other than some of the 50's style suits, I love seeing the traditional kimonos, obi and other traditional cultural dress items frequently worn by the women of the court. 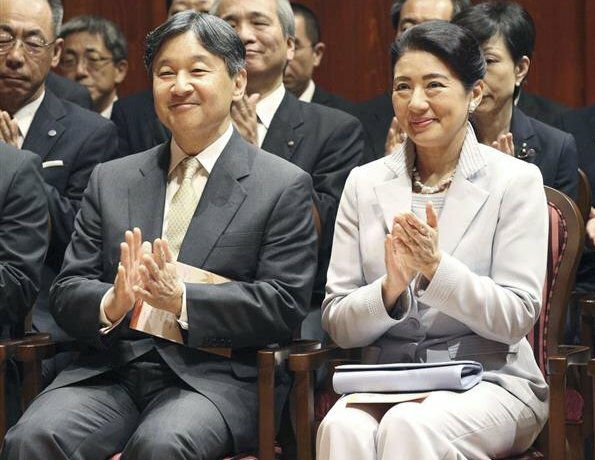 The current Empress Michiko is the epitome of grace and she wears all her outfits with grace and style. However.... 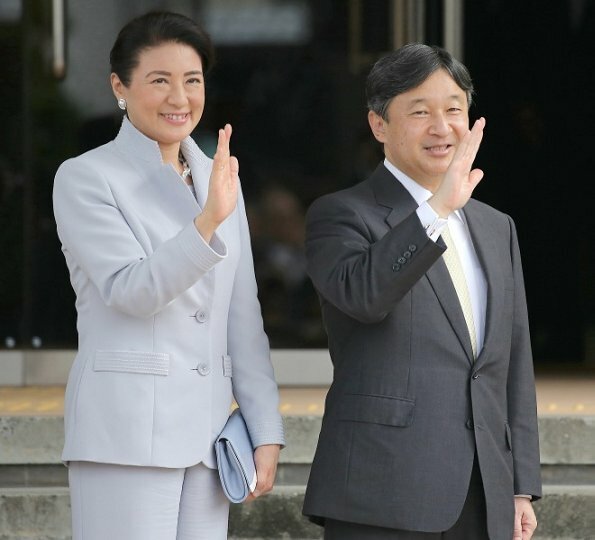 I'm also a huge fan of CP Masako and I can't wait for her to take her place beside her husband in her new role of Empress next year. Besides being a seemingly lovely person, I sense she will gradually bring change to both the fashion style and the role of the Empress and I'm excited to see what comes of it. She wears this trouser suit beautifully here, and she seems happy and relaxed. Very pleased for her.